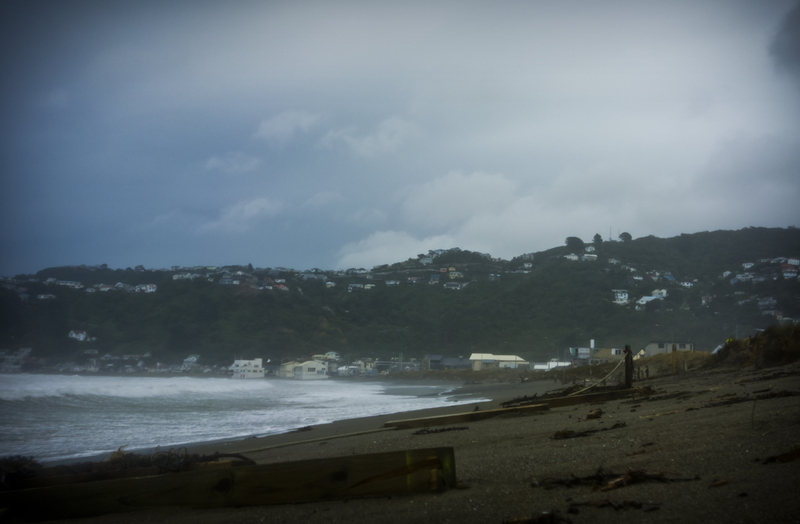 The wild winds of June have been whipping up the sea here for the last few days – there’s still so much sand in the air it’s hard to walk along the waterfront with eyes open. This beach is by the airport, and one where I often walk my dogs as they’re allowed off leash there. It . . . isn’t quite the same any more, with dunes shredded and most of the access steps reduced to flotsam (or possibly jetsam). Sadly my photos don’t remotely catch the dynamic energy, the sheer scale and force of the waves, or the crazy light coming through a haze of spray. There are a few more tempesty days predicted; tomorrow I’ll take the little waterproof camera so I can get closer to the drama. And wear fingerless gloves so I can actually operate the buttons. Here’s hoping for a sullen sunrise. 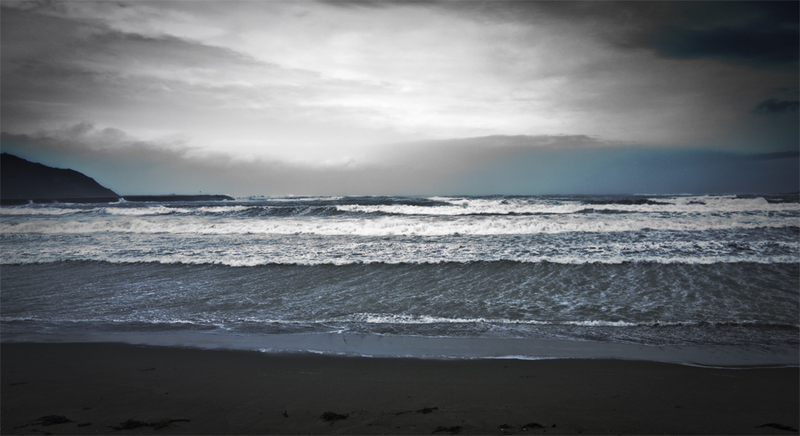 This entry was posted in photography and tagged lyall bay, sea, seascape, storm, waves, wellington. Bookmark the permalink.